Good bathroom remodeling – well designed, well built, on time, and on budget – requires skillful coordination by the general contractor. We bring the acumen and people skills to deploy a broad team of professionals in a tight space with finesse and style. And you can count on May River Flooring’s team of experts to personally carry out the heart of the project with flawless execution. 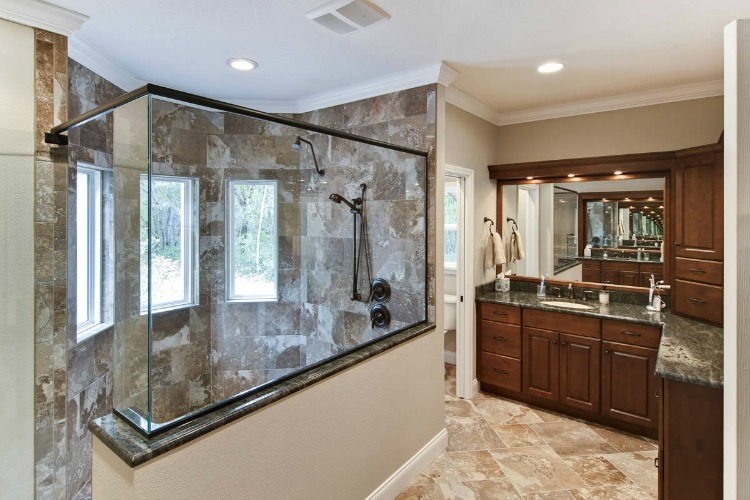 Ready to Renovate Your Bluffton Bathroom? Your bathroom is a sanctuary – a place for you to be alone, collect your thoughts, and feel recharged every day. It is important for you to feel a special connection within this space. That is why we focus on the right colors, a timeless style, and elegant function to give you a bathroom makeover that is built for the way you live. From design selection to the remodeling process itself, May River Flooring will be there with you, side-by-side, to help create a bathroom that is beautiful, personal, and real. Our highly skilled and experienced team is committed to making certain you are completely satisfied withe the bathroom remodeling project. The staff at May River Flooring is meticulous, detail oriented, and high energy, looking forward to tackling your Bluffton bathroom renovation! 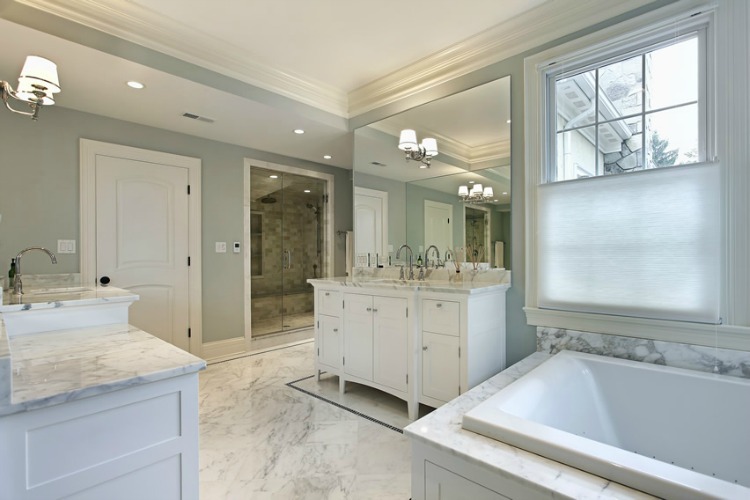 Whether you are redesigning your bathroom to suit your current needs or are planning to sell your house and wanting to increase the curb appeal, remodeling your bathroom has a variety of benefits. An older home with a standard bathroom might feel dingy or dated; updating your flooring and fixtures can give you an entirely new feel while staying within your budget. 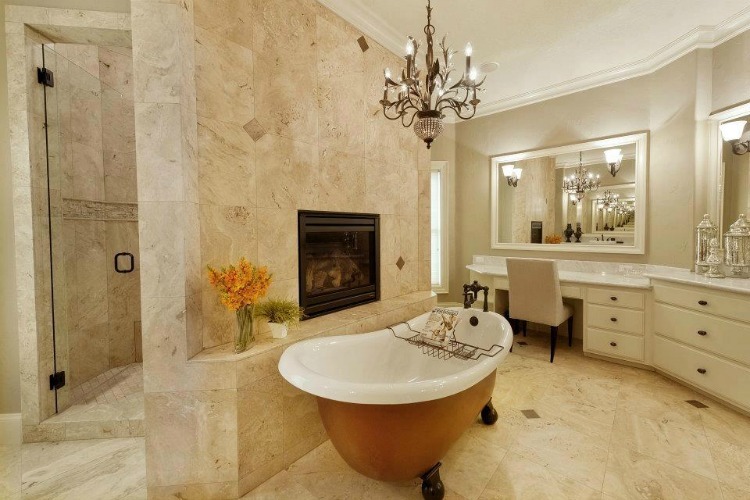 You could also go a more luxurious route and upgrade to premium building materials like high-quality tile, a custom built vanity or marble countertops. For a premium bathroom remodel, why not add a walk-in shower or multi-head shower system? We can help you create a bathroom that is both beautiful and functional, and will last for years to come. Plus, upgrading your bathroom instantly increases the value of your home, both for you and for any potential future owners. Whether you want a simple shower upgrade or want to completely renovate and update your bathroom, we are the team who can make it happen for you. We always include you in the process and will be in constant communication with you as we work, and we do our best to stay ahead of schedule and under our proposed budget. The average homeowner does ten weeks of online research and idea hunting before starting to interview contractors to handle the work. Why wait? Let May River Flooring help you design your bathroom remodeling project from the start. Our extensive experience can help guide you in the right direction, unmask possible issues, and save you valuable time and money by managing all aspects of the project.